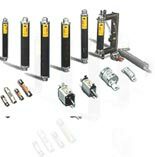 SIBA has a great deal of experience in developing, special fuses. Profit from our Know-how. Contact one of our experts directly. So that we can find the best solution. Important information for users of fuses which you can download here.